Secondary Transition is the process of preparing students for adult life after they leave high school. Transition planning begins at age 14, or younger if determined appropriate by the IEP team, as students consider their goals for the time after graduation through career awareness exploration activities. The transition process continues through high school as academic instruction and community experiences help clarify and support students’ goals. The entire process is based on individual student’s needs, taking into account each student’s strengths, preferences, and interests. Transition can be thought of as a bridge between school programs and the opportunities of adult life, including higher education or training, employment, independent living and community participation. 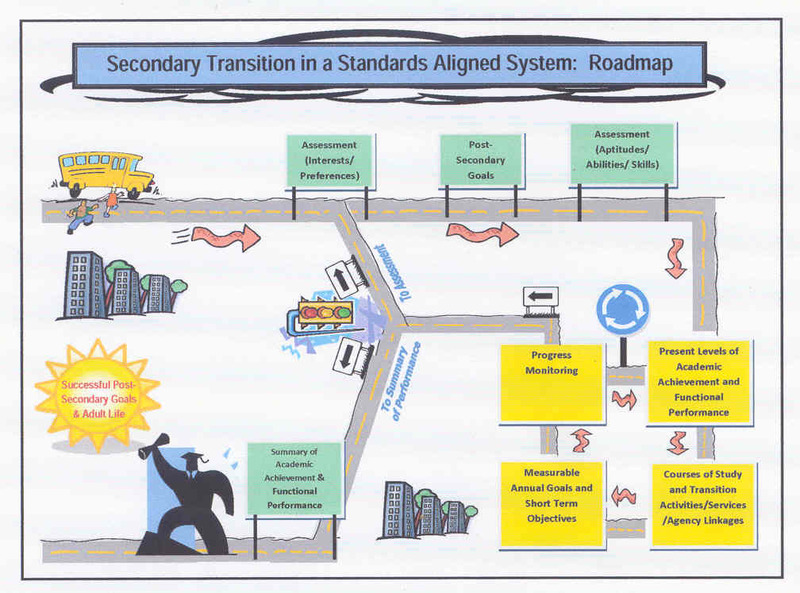 Pennsylvania educators facilitate students’ successful transition by using a six-step process to develop the IEP; guide the way for students, families, educators, and service providers; and prepare students to cross the “bridge” to adult life.